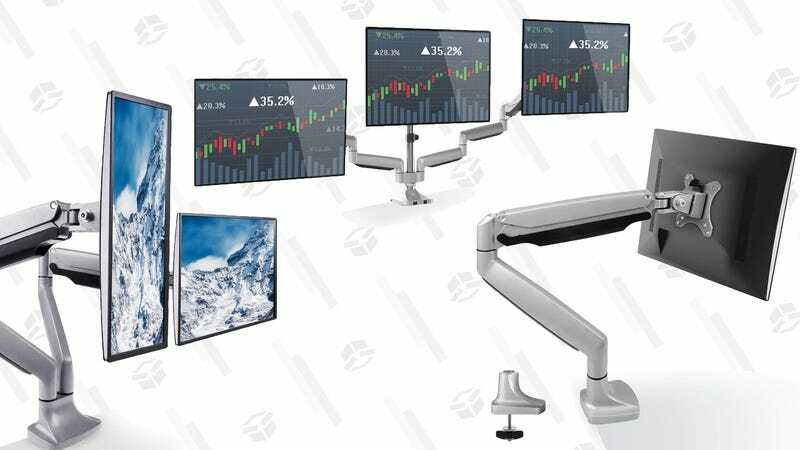 Huanuo’s inexpensive monitor arms aren’t quite as nice as the high end models, but they’re surprisingly good given how affordable they are, and they’re even cheaper today with promo codes. 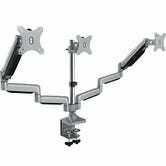 How Does an Expensive Monitor Arm Compare to a Cheap One? 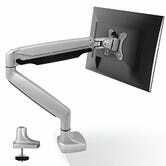 You can choose from a one, two, or three-screen gas spring arm with full articulation, meaning you can move your monitor up, down, side to side, on a swivel, and even rotate them 90 degrees. 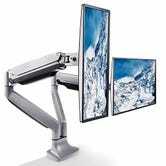 Just be sure to note the codes, and make sure your monitors are VESA mountable.